Do you know how to check your heart rare? First it might help to know what it means when someone says "heart rate". It's a pretty simple concept. Your "heart rate" is equal to the number of times your heart beats in one minute. There are two easy spots on your body to feel your heart rate. 1. At your wrist. 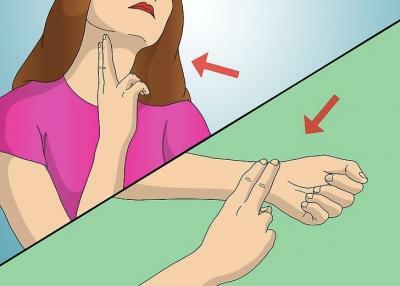 Place two fingers on the inside of your opposite wrist, as the picture above shows. 2. On your neck. Place two fingers on the coradid artery in your neck, as the picture above shows. You should be able to feel the beat of your heart in these locations. With practice, this will become very easy. Once you find the correct spot....start counting the beats....for 60 seconds. The number you reach after 60 seconds is your heart rate. There are also great tools to check your heart rate. Heart Rate Monitors make the job simple and record your heart rate and some other stats. 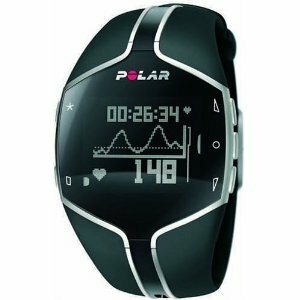 A good heart rate monitor is a useful tool. As you learn how to use the different feature, you will learn lots of great info about keeping your heart healthy. Yes, that is an important part of life. Counting your heart beats takes a little practice, but anyone can get good at it.